So this session was long overdue as we pretty much forced our amazing make-up artist, Azure, to let us photograph her gorgeous family. 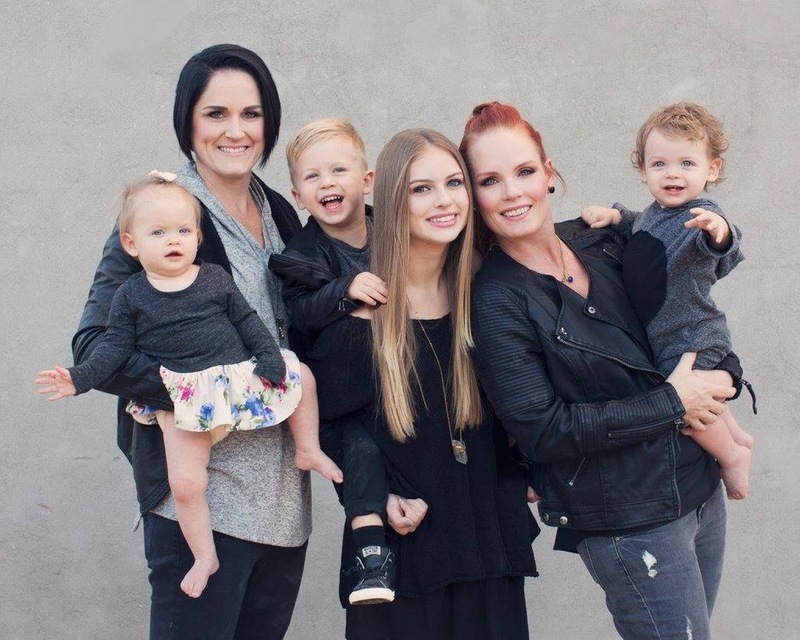 She spends so much time and talent working with our clients on their make-up and we really wanted to capture her and her amazing family before her babies got too big. Azure and her partner, Stacie, have the most beautiful chidren and we could not have had more fun photographing them. They did not want any cooky cutter looks so we met them at the Mill on Mill in Tempe, which gave us the edgy look for which they were hoping to achieve. The one year old twins and three year old toddler could not have cooperated better for their photos. Aspen, their teenage daughter, was absolutely stunning and enjoyed getting some individual shots too! We must have been pretty entertaining for those driving past us during this session on the corner of Mill and Rio Salado in Tempe that afternoon!